Luke 2:25-38 - What are You Waiting For? You are here: Home / Sermons / Sermons on Luke / Luke 2:25-38 – What are You Waiting For? Luke 2:25-38 – What are You Waiting For? Luke 2 reveals five individuals who obeyed God’s Word and were blessed because of it. The first two were Mary and Joseph. They obeyed the law of God. They were poor, and yet they obeyed. Sometimes, their obedience was inconvenient for them, and yet they obeyed. In Luke 2:25-38, we learn about Simeon and Anna who also obeyed God’s Word. 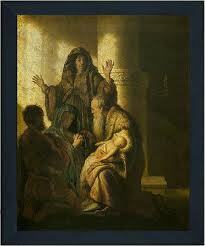 Let’s begin with Simeon who obeyed God’s Word in waiting for Jesus. We all do it. We spend half our life waiting. We have waiting rooms, and waiting lines. We wait to be seated, and we wait on the phone to speak to the operator. Sometimes it seems that all we do is wait. Our life is one mad rush to get from one wait to another, from one line to another. A report from a few years ago said that on average, we spend six months sitting at stoplights—and over 5 years waiting in lines. Five years of my life—waiting in lines! That’s why I always try to carry a book with me. You can get a lot of reading done in five years. And there are sayings which we have all heard: “Good things come to those who wait” and “Some things are worth waiting for.” If good things come to those who wait, is there anything you would be willing to wait your entire life for? It would have to be something really good, right? What about if someone offered you ten million dollars if you just wait for it your entire life? Would you be willing to wait your entire life for ten million dollars? Maybe you’re thinking, “You bet I would.” But what good is ten million dollars going to be to you if you only get it one minute before you die? It doesn’t do much for you at all. I don’t think I would wait for my entire life for ten million dollars. My time is more valuable than that. But there are things I am waiting my entire life for. And I’m not alone in this waiting line. Many of you are probably waiting for the same thing. But before we talk about what that is, I want us to look at Simeon who waited his entire life for something. And I think it was definitely something worth waiting for. If I was given the offer to wait my entire life for the same thing he waited for, I would gladly do it. So here we meet the man we are looking at today, and right away we learn two physical truths about him. First, he was living in Jerusalem, which was the political and religious center of Israel at that time – and is still today. Simeon was where all the action took place. But more importantly, we learn that his name was Simeon. The name Simeon means “God has heard.” And we will see today that God did hear Simeon’s prayer (and the prayers of many others during this time) and was sending to them the greatest answer to prayer ever seen. Those are his physical characteristics. More intriguing still are Simeon’s spiritual characteristics. Luke 2:25b. and this man was just and devout, waiting for the Consolation of Israel, and the Holy Spirit was upon him. The first spiritual characteristic was that he was just and devout or righteous and devout. The word just or righteous shows his obedience of the Word toward other people. The word devout expresses his obedience of the Word toward God. He knew what the Bible said, and he did it. Again, such obedience is a prerequisite for being used greatly by God. Now, it was the hope and prayer of every Jew that the Messiah would come, and bring peace and comfort to the people of Israel. And Simeon was like all other Jews in this regard. For we see secondly, in verse 25, that he was waiting for the Consolation of Israel. The Consolation of Israel is a reference for Jesus and is a frequent theme found in Isaiah 40-66. Isaiah says the Messiah would come and so Simeon was waiting for him. Sometimes, that’s what God calls us to do. To wait. It’s not a glamorous task. It’s not one that gets anyone a lot of attention. But sometimes, all God wants for us to do…is wait. In fact, I think that a part of every Christian’s maturing process is a period of waiting. Of feeling like we’ve been put on the backburner, or forgotten backstage. We know God has gifted us and called us to do something great, but it doesn’t seem like anything is happening in that direction. That might be because God is calling you to wait. It is God teaching you patience. And all too often, if you do not wait, if you try to step out and do what you want, or even what you know God wants for you, but you don’t wait for His timing, you will fall flat on our face. You know, these times of waiting can be incredibly fruitful times for you. Enjoy them. Learn as much about the Bible as you can. Become as much like Jesus Christ as you can. A mushroom matures in a few days, but an oak tree takes hundreds of years. Which would you rather be? A mushroom, or an oak tree? If you choose to wait for God’s timing, you will become like a tree planted by streams of water, that brings forth it’s fruit in season (Psa 1:3). And as you wait, remember that God has not forgotten you. No, as you wait on the Lord, He will renew your strength, you will mount up with wings like eagles, you will run and not grow weary, you will walk and not faint (Isa 40:31). That’s what Simeon did. God wanted him to wait for Jesus, and he did. Patiently waiting is a wonderful spiritual characteristic to have. The third spiritual characteristic of Simeon was that the Holy Spirit was upon him. This is significant because at this time in God’s history, not all believers had the Holy Spirit upon them. The Holy Spirit could come upon a person for a while, and then could leave later. That’s why David prayed in Psalm 51, “take not your Holy Spirit from me.” Prior to Pentecost in Acts 2, not all believers had the Holy Spirit. He only came upon a few, and sometimes, only for a short while. But now, today, in the church age, the Holy Spirit dwells within all believers. Before Pentecost in Acts 2, the Holy Spirit only came upon certain individuals for certain tasks and responsibilities. Now, after Pentecost, the Holy Spirit is within all believers permanently. We will see some more of this in our men’s Bible study this Wednesday as we study Acts 2. Simeon, however, was one of those privileged saints prior to Pentecost who had the Holy Spirit. This means that Simeon was specially chosen by God to do something specific for God. We learn what this task was in verse 26. Luke 2:26. And it had been revealed to him by the Holy Spirit that he would not see death before he had seen the Lord’s Christ. Simeon had been told by God that he would not die until Jesus Christ came. This is quite a promise of God to Simeon! We don’t know exactly how old Simeon was here, but tradition says he was 113 years old, but that is only tradition. And so Simeon had been waiting for God for much of his life, and he knows that he will see the Christ before he dies. If I was alive at that time, and I knew this about Simeon, I would have hung out with Simeon all the time. I never would have left his side. I would have wanted to be there when he saw the Christ. The question though is, why would God tell Simeon this? Why did God think it was important that someone be there to see Jesus Christ? Why is it so important for Simeon to spend his whole life waiting, just to see the Messiah? That’s incredible, but what’s the point? The point is found in Deuteronomy 19:15. We read there that on the evidence of two or three witnesses shall a matter be confirmed. Simeon was one of three witnesses that God used to confirm that Jesus Christ, the Messiah, had come to Israel in the flesh. The shepherds were the first, Simeon is the second, and Anna is the third, whom we will look at in a bit. But before we look at Anna, Simeon needs to do his witnessing. Witnesses speak what they have seen and heard, and Simeon needs to speak. So this is what he does in Luke 2:27-35. The wait is over, and God has called upon Simeon to speak, and Simeon, though he has been on the sidelines for so long, steps forward to be a witness. His witnessing was about two things. First, he blesses God. He thanks God for sending the Messiah. Simeon recognizes in verse 29, that his life of waiting for the Messiah was according to the Word of the Lord. Everything we do needs to be according to the Word of the Lord. If God’s Word has not said it, you most likely cannot trust it. Simeon did have the Word from God that he would live to see the Messiah, and so now he says he can depart in peace, he can die now, his life is complete. Are you at that place in your own life? If you discovered that you were going to die tomorrow, would you be ready to go? Would you be able to depart in peace? That is an important question to ask. God can take us at any time, and we all need to be ready to go at any time. This means being at peace with God, and peace with one another all the time. Do you need to confess something to God? Do it today. Do you need to restore a relationship with someone, but you’ve been putting it off? Don’t delay any longer. In verse 30, Simeon is ready to depart because he has seen your salvation. Now remember, previously, I’ve told you that whenever you see the word salvation, or save, in the Bible, you need to ask yourself, “Salvation from what?” or “Saved from what?” In Luke 1, we saw that both Mary and Zacharias, but especially Zacharias, looked upon Jesus as the coming Messiah who would deliver them from Roman rule, and who would conquer the enemies of Israel. They thought Jesus was coming to conquer. And Jesus will do that when He comes the second time, but His first coming was to defeat sin and death. His second coming will be to rule and reign; His first was to suffer, serve and die. It appears that Mary and Zacharias had these two comings somewhat confused. But Simeon sees the truth. We know this for two reasons, first, because of what he says in verses 31-32. 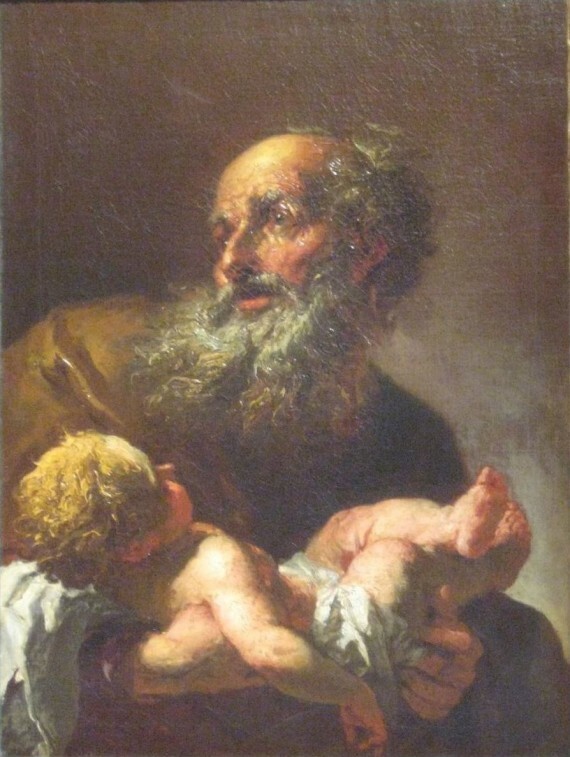 This salvation, Simeon says, has been prepared before the face of all peoples, and is A light to bring revelation to the Gentiles, And the glory of Your people Israel.” Simeon is showing that he understands that Christ is coming, not to deliver the Jews from their enemies, and place Israel at the head of the nations over all the Gentile nations, but instead, that this salvation is for all people and will bring revelation to the Gentiles. Simeon was one of these Jews called The Quiet in the Land. He understood from the Word of God what most Jews in that day had missed. He understood that Jesus came to be a light to the Gentiles, to bring salvation to the Gentiles, to reveal himself to the Gentiles. And that He would do this through suffering as a servant, dying on the cross, and then raising from the dead. And how thankful all of us should be that this is why he came the first time. I believe that Simeon partially understood this purpose of Christ’s first coming, and he reveals it here by what he says in thanksgiving to God. But Simeon is not done. He next turns to bless Joseph and Mary in Luke 2:33-35. This isn’t much of a blessing, is it? Well, actually, it doesn’t appear that the blessing of Simeon to Joseph and Mary is recorded here. We should read this passage as saying that Simeon blessed them, and then after he was done, he then speaks to them what we read in Luke 2:34-35. The words of Simeon to Mary about a sword piercing her own heart is a prophecy about Christ’s coming crucifixion on Calvary’s cross. It would be the most tragic event in the life of Mary, and yet, at the same time, the greatest event. Many people watched Mel Gibson’s The Passion of the Christ, and afterwards, many felt as if a sword had pierced their own soul. Many claimed that the movie would be the greatest evangelistic event ever. It wasn’t, but that was for different reasons. But there is a caution about such movies that we should always remember. There is a danger of dwelling on the death of Christ too much if we don’t also emphasize the resurrection. Paul says that if Christ was not raised, we are yet in our sins. Now thankfully, the movie does include the resurrection. But however painful it was for you to watch the movie, don’t let yourself feel sorry for Jesus. Don’t let your neighbors feel sorry for Jesus. Jesus does not want anyone to feel sorry for Him. He did not come to get your sympathy. He came to get your faith. He came to get your life. It’s okay to shed tears for what Christ did on the cross, but if you do, remember the words of Jesus to some of the women of Jerusalem who were crying about him when he went on the cross. He said to them, “Daughters of Jerusalem, weep not for me, but weep for yourselves, and for your children” (Luke 23:28). If you have tears for Jesus, shed them also for yourself, and for your family, and for anyone around you who is unsaved. Mary’s soul would be pierced, and so will ours when we understand the suffering of Christ, but Christ did it all to save us. And if people get saved, Christ considers it all worth it. The rest of Simeon’s words to Joseph and Mary are again an indication that Simeon knows what Jesus has come for. Not to raise up Israel and deliver them from Roman rule, but to cause the fall and rising of many in Israel, and to be spoken against. The result will be that many hearts would be revealed. This is exactly what happens in the life of Christ. Most of the leaders of Israel reject him, and so they fall from their positions. Many of the poor accept him, and so are risen to leadership in the church. Jesus was definitely spoken against by many. And ultimately, the thoughts of many hearts were revealed. Most people wanted a Messiah for selfish reasons. They wanted to profit from the Messiah, or gain power from the Messiah. The Gospel of Luke will show all of this to us as we go through it. Simeon also reveals the thoughts of his own heart here. He knew what kind of Messiah Jesus would be, and he had waited his whole life for this event, and now that it had come, he could depart in peace. Simeon was the second of three witnesses. Before we move on to Anna, let me just ask you, what are you waiting for? What are you looking forward to? Is it that next vacation? Is it getting married? Maybe having a child…or a grandchild? Getting that promotion at work? Hey, all of these things are good things to wait for. All of these things are good things to accomplish in life. All of these things are blessings from God. But real contentment in life comes from knowing what to look forward to, from knowing what to wait for. Simeon knew what to wait for. He waited for and looked forward to Christ’s first coming. And similarly, we are to wait for Christ’s Second Coming. The New Testament tells us over and over that we should eagerly wait and anxiously look for the blessed appearing of our Lord and Savior, Jesus Christ (Rom 8:23-25; 1 Cor 1:7; 4:5; 1 Thess 1:10; Titus 2:13). Living with this in mind, knowing that Jesus could come today, or tomorrow, causes us to live with the right priorities. It causes us to live with eternity in focus. It causes us to do things that will matter for eternity, rather than just for next week. And furthermore, if we eagerly look for Christ’s coming, we will do everything we can to speed his coming. In Matthew 24:14, it says that the end will come only after the whole world has heard the Gospel of the Kingdom. Waiting for Jesus should cause us to be witnesses just as Simeon’s waiting for Jesus caused him to be a witness. Let us turn now to see the third witness, Anna. Simeon Obeyed God’s Word in Waiting for Jesus. Anna Obeyed God’s Word in Worshiping Jesus. Just as with Simeon, the account of Anna begins with a description of her characteristics. First, we learn that her name was Anna. Her name comes from the Hebrew word for grace. And the grace of God was definitely upon her as we see in the rest of these verses. The grace of God was upon her first of all, in that she was a prophetess. There are several women in the Bible who have this privilege and distinction; Miriam (Exo 15:20), Deborah (Judg 4:4), Huldah (2 Kings 22:14) and Philips daughters (Acts 21:9) are examples of others. Anna’s work as a prophetess was to speak the Word of God, and share what she knew about Jesus with all who would listen to her. This is what we will see her doing in Luke 2:38, and this was the basic ministry description of all prophets in the Bible also. Now, prophetically, they cannot be lost, because God has promised that all twelve tribes will have a place in the events of the end times. But if ten of the tribes are no more, then God cannot keep His Word. So some Christians have tried to argue that the ten tribes are not lost, they are just misplaced. Some Christians teach that the ten tribes ended up down in Ethiopia. I read a book last year where an author was trying to argue that the ten tribes went to Great Britain, and then migrated over to North America, and so all Americans are the ten lost tribes. The fact of the matter is that the ten tribes were never lost. God has always kept a remnant of each tribe safe for himself. We can read the accounts in 1 and 2 Chronicles and other places in Scripture which clearly show the existence of other members of the other tribes of Israel. This is an example right here in Luke 2. Anna was of the tribe of Asher. She knew who she was, and so did everyone else. She did not go to Ethiopia. She did not come to America. She was not lost. She was in Israel. And that is an example of the grace of God. Though her ancestors had rebelled and been carried off into captivity, God had nevertheless raised her up to be one of these witnesses. A final sign of the grace of God being upon her is her age. We learn here that she was married for seven years and a widow for 84 years. This either means that she was a widow who was 84 years old, or that she had been a widow for 84 years. If we go with the second possibility, which I think has the stronger case. She would then be about 104 years old. But either way, she had been a widow for a very long time. And rather than grow bitter and resentful that she had been a widow so long, she became better. Sorrow can do one of two things to you. It can make you hard, bitter, resentful and rebellious against God, or it can make you kinder, softer, more sympathetic. It can spoil your faith, or cause your faith to take deeper root. It all depends on how you choose to respond to the sorrow and trials in your life. Anna chose the better path. She chose to reveal the grace of God in her life. And I think that is one reason God gave her a long life. Do you know what she did with her long life? She served God with it. Look at the last half of verse 37. Luke 2:37b. [she] did not depart from the temple, but served God with fastings and prayers night and day. This tells us that Anna, like Simeon, was another one of those who were known as The Quiet in the Land. She served God first of all by staying in the temple. It says she didn’t even depart from the temple. This means that she went to the temple as much as possible. Nobody, not even the priests lived in the temple. The High Priest alone had chambers there, but even He did not live there. So it means that she was there as much as possible. And while there, she served God by fasting and praying night and day. This is a wonderful blessing to pour out upon God’s church and God’s people if you are able to do it. It is sometimes true, not always, but sometimes, that those who are older do not need as much food and sleep as they did when they were younger. And so some of them, some of you, take the opportunity to become prayer warriors for God. You fast and pray. You pray during the night, and pray during the day. There are many things that go into a healthy church and fruitful ministry, but here we see two of the most important factors of becoming a healthy Christian and a healthy church. If you want to become a healthy Christian, and if you want this church to become healthy, you need to follow the example of Anna. First, spend as much time as possible in church, worshipping God, serving God, fellowshipping with other Christians, learning the Word of God. That’s the first thing. It will help you; it will help the church. But secondly, spend as much time as possible praying. Prayer is the lifeblood of the church. Prayer is what keeps a church and it’s ministries supported and moving forward. Prayer is what keeps you in communication with God. Prayer is what holds back the spiritual forces of darkness. Prayer is how you can support me as the pastor and the other leaders of this church – the elders and the Sunday school teachers and the music team and everybody else in leadership positions. And we see this in Anna. She was a prayer warrior. Not only did she pray, but she fasted and prayed, and she did it night and day. Oh, may God give every church many people like Anna who serve God with fasting and praying night and day. Finally, in verse 38, we read of how Anna was the third witness for Christ coming as the Messiah. She spoke of Jesus. Luke 2:38. And coming in that instant she gave thanks to the Lord, and spoke of Him to all those who looked for redemption in Jerusalem. Just like Simeon, she gave thanks to God for sending the Messiah, and then, not stopping there, she went out and spoke to everybody who was looking for redemption in Jerusalem. She went around telling people that their Savior, their Redeemer had come. She was the third witness. What are some lessons from the lives of Simeon and Anna? Both of them would be considered elderly by today’s standards, and yet neither one of them thought that being old meant that God was done with them. Sometimes, in our modern culture, those of us who are younger seem to think that those who are older have nothing to teach us, and sometimes, those of us who are older, believe it. Other times, those who are older know that they have a lot to teach those who are younger, but they would rather spend their retirement years fishing and golfing and playing bridge. Both of these views are wrong. The Bible says that those who are younger should learn from those who are older. Titus 2, for example, encourages older woman to teach and train and disciple younger women how to be mothers and wives. Older men also, can pass on great skills and truths to younger men. Those who are older have priceless lessons and years of wisdom to pass on to those who are younger. And these are not just lessons about cooking and gardening and parenting, but truths from the Bible and lessons on how to pray, or resist temptation, that you have learned over the years. All of these things can be passed on. Even in the church, there are hundreds of things that can be done by those who are older that younger people cannot and are not able to do. You see, I believe that retirement is often God’s way of releasing the believer from daily responsibilities in order to allow him or her to devote more time and effort to a ministry. Bob Biehl suggests that “Substituting the word ‘transition’ for the traditional word ‘retirement’ offers a whole new perspective on our latter years.” Maybe we shouldn’t call it retirement anymore, but transition. You transition from working for the world at your job to working for God in the church. I believe that actually, the years you spent working in the world could actually be God preparing you for the real work of the ministry He wants you to do once you are retired. What skills, what lessons, what truths have you learned that you can pass on to the next generation? How can you encourage? How can you help? How can you minister to the needs of others? Contentment is not a matter of age or energy level, neither is it a function of how many possessions you have accumulated. Contentment and significance in life is measured by how open you are to serving God and sharing Him with others. Even though death is imminent for Simeon and Anna, they have found the meaning of life, and what makes life significant. They did not wait around for the next vacation, or the next toy, or the next adventure. No, they waited for Jesus Christ, and as they waited, they served God in any and every way they could. What are you waiting for? I hope you are waiting for Jesus Christ. And as you do, I hope you are wisely using the time and abilities and talents God has given to you. Life has meaning when you spend it waiting for Jesus. Edersheim, Life and Times of Jesus the Messiah, 198. The Moody Atlas of Bible Lands , 100. The International Standard Bible Encyclopedia , “Simeon,” p. 514. The Moody Atlas of Bible Lands , 148. Wiersbe, Bible Exposition Commentary, 177. Barclay, The Gospel of Luke , 26. Ideas taken from McGee, Thru the Bible , 255. Cf. the “stone, sign and sword” from Wiersbe, Bible Exposition Commentary, 178. Barclay, The Gospel of Luke , 27. Jeremy, I was thrilled to find your commentary on “The Consolation of Israel” listed as one of my google searches! 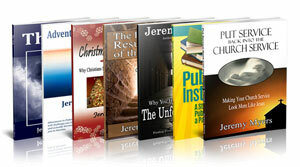 I like to read what you write and believe that you are being led by the Spirit to share your discoveries. You are becoming more recognized as a scholar to check on. I am glad you found the study helpful. Thanks for the comment! Luke 2:36-37a. Now there was one, Anna, a prophetess, the daughter of Phanuel, of the tribe of Asher. Why did our Abba put that next to Anna?